A gentle circuit walk around Dinner Plain via Fitzy's Cirque, Collectors Cirque and the Dinner Plain track offers visitors a great introduction to a variety of alpine landscapes as well as highlighting the unique architecture of the village. The trails take in Snow Gum woodlands with understories of flowering shrubs, open grassy plains, wildflower meadows and wetlands. 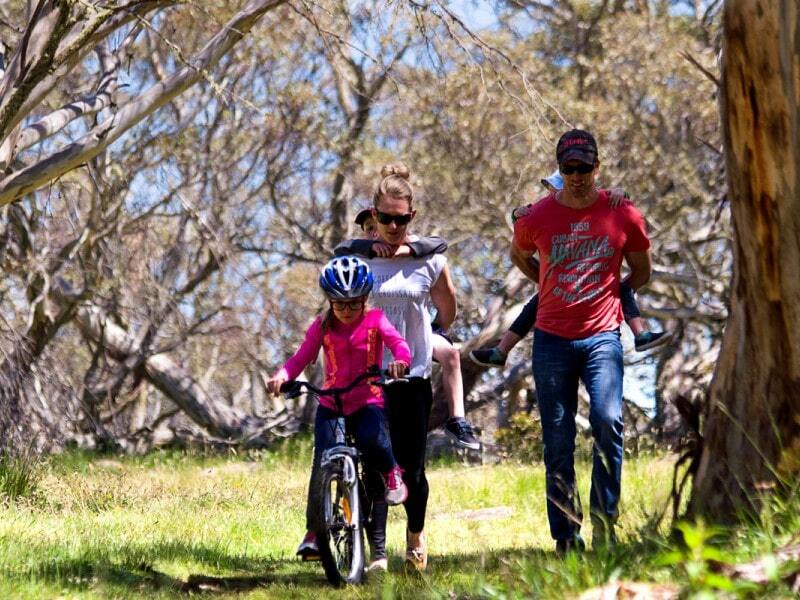 Discover the tracks & trails of Dinner Plain.